Seamless means the gutters are one piece from corner to corner. Furthermore, each corner is cut specifically to fit your home; no prefabricated corners or strip miters will be used. This helps to ensure that your gutters will not only look great, but will be less susceptible to leaking. 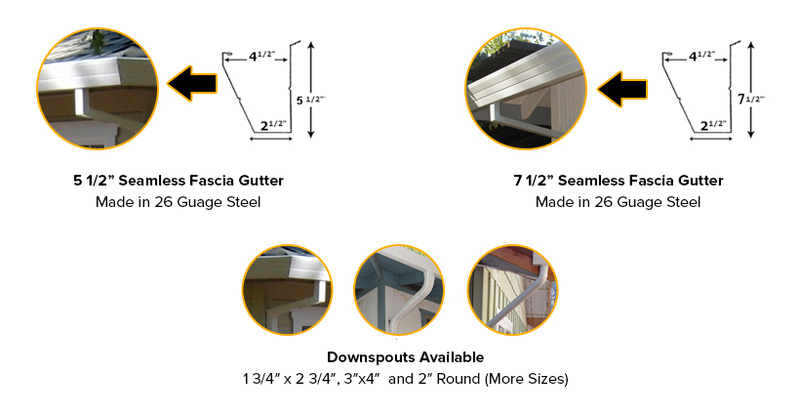 All gutters and downspouts available in 28 colors to choose from. Seamless gutters and downspouts also available in Copper.